As a family historian, it's unsettling when I discover that an ancestor's final resting place is an unmarked grave. A grave with no headstone can be misinterpreted as unimportant or insignificant. Of course, our ancestors amount to more than a tombstone. However, as a genealogist, I want that final piece of evidence to bookend their story. After all, we're in the business of remembering what was forgotten. My introduction to genealogy was researching my Italian roots. I knew nothing about that branch of my family tree. As an amateur with only the dimmest understanding of how to do good genealogy, I was proud of myself after piecing together their story. To celebrate my research victory and honor my ancestors, I went to pay my respects at their grave site. I was excited when the cemetery office provided me a map and coordinates. Following the directions, I walked along a row of bronze markers until I came to an open patch of grass. My heart sank. The plot for my people was empty. There was no marker. Six feet below were people who had lived full lives (with an Italian accent), and the world above them knew nothing of their existence. Their unmarked graves struck me as disrespectful. Reassembling their story and bringing them back to life had become a passion project, but there was nothing there to affirm that research or acknowledge their existence. Nothing. There are many reasons why a headstone may not have been placed, including financial. Markers are not cheap. My second great-grandfather John (Flynn) O'Connor spent his final years living in a Catholic charitable home for the elderly, and was buried in a modern-day pauper's grave with no stone. I also understand that nothing lasts forever. Monuments may have been placed for our more distant ancestors and disappeared over the centuries. But ancestors who passed away in the 20th century with zero recognition? It doesn't feel right. 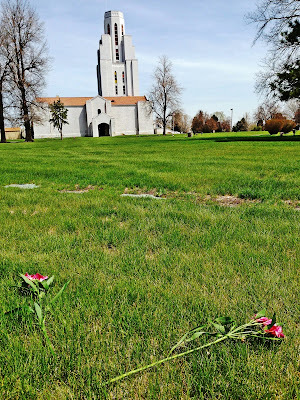 Reviewing my own family tree, I learned that at least eight of my direct ancestors were buried in unmarked graves, including Annie, Frank, John, Matilda, Samuel, and Wilburn. Fortunately, genealogists are persistent people accustomed to finding creative ways to tell their family's history. This includes marking forgotten ancestors. Here are a couple strategies that helped bankroll markers for my ancestors. In the 1990's, a collection of relatives attending our annual family reunion conducted a raffle to raise money to place headstones at the graves of two of my direct ancestors. The concept was straightforward: family donated items for a raffle. The raffle's proceeds financed markers (see Hide-and-Seek: Graveyard Edition). I've recently employed a modern approach to pay for a new headstone for my fifth great-grandparents whose original markers - now over 170 years old - are broken in half and no longer bear inscriptions. Using the online fundraising site GoFundMe, I created a fundraising page where cousins could learn about the initiative and securely contribute financial support. The site creates a page that can be emailed or shared on social media. I posted it to a Facebook group for descendants of these grandparents with great success. 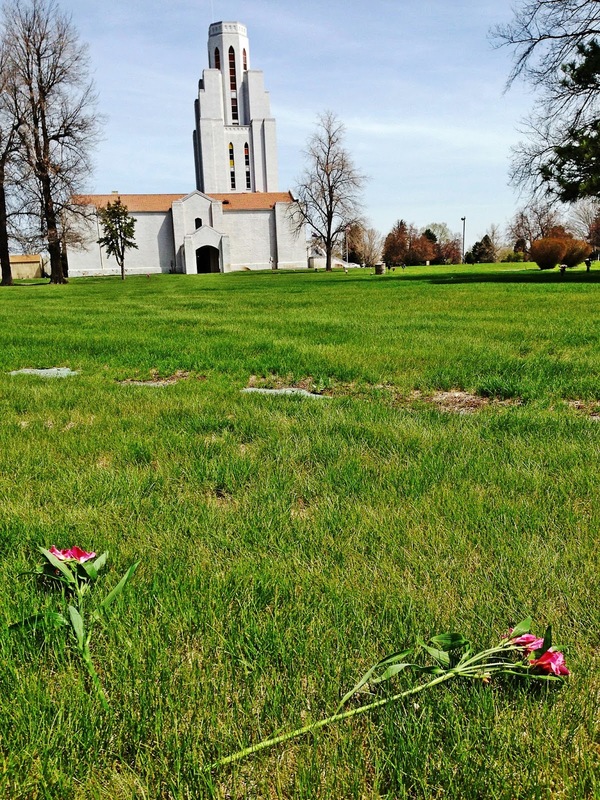 What other approaches have you taken to commemorate unmarked ancestor burials? Have you had success with different fundraising strategies? Several thoughts went through my mind as I read this. I like the idea of a raffle at a family reunion. From a European point of view, cemetery markers are not forever and will be discarded once the plot is no longer being paid for. I have seen markers with incorrect information. My wish would be if someone were to go to the expense of procuring a marker they should also do serious research (like we would as genealogist). You make a couple important points, Cathy, which I'm glad you've raised here to complement the conversation. Yes! The points I've addressed are definitely from a US perspective. The remains for my Italian ancestors back in Italy were exhumed a long time ago and re-interred in a communal burial. The accuracy issue is also a point of concern. I have direct ancestors whose tombstones include incorrect information, including the wrong birth year for a second great-grandfather. I know that feeling. My 3x great-grandfather's gravestone in Philadelphia sank into the ground. I spoke with the rabbi who oversees the cemetery about trying to either dig it up or replace it, but so far have not had any success. Your post reminds me that I should check with him again. Great post, Michael! I have a few of those in my tree, too, that have sunk into the ground or cracked in half and lay flat on the ground. Here's hoping the rabbi can help you get that fixed. I keep reading about my Patriots grave is upturned and cracked in Markelsville. I have to find out if It’s really him and true. If so I would love to have it replaced. This made me think of a lot of African American cemeteries that are unkept in the South. We did get one for our Grandfather Ike Ivery and it was a proud moment. I've seen articles and listened to a podcast recently about folks tidying up unkempt cemeteries and finding lost-to-time headstones. It's also great that we have services like FindAGrave and BillionGraves where uploaded photos add to the longevity of these burials. Good luck with your patriot! Here's hoping you're able to confirm the link and - if it's him - replace the marker.